The American Association for Cancer Research (AACR) - Women in Cancer Research (WICR) Charlotte Friend Memorial Lectureship was established in 1998 in honour of renowned virologist and discoverer of the Friend virus, Dr. Charlotte Friend. The WICR Friend Lectureship is presented to an outstanding scientist who has made meritorious contributions to the field of cancer research and who has, through leadership or by example, furthered the advancement of women in science. Anne-Lise Børresen-Dale, professor emerita at the Department of Cancer Genetics at the Institute for Cancer Research, OUH, has been chosen as the 20th Annual Award Recipient. Her award lecture will be held on April 3rd in the Washington Convention Center. Dr. Børresen-Dale will deliver her award lecture titled "Multilevel Molecular Analyses in Breast Cancer: Gauging Inter- and Intra-Tumor Heterogeneity and Elucidating its Role in Treatment Response" at the Annual Meeting 2017 in Washington, DC. The award lecture will be held Monday, April 3, 2017, in the Washington Convention Center. The AACR-Women in Cancer Research Charlotte Friend Memorial Lectureship was established in 1998 in honor of renowned virologist and discoverer of the Friend virus, Dr. Charlotte Friend, for her pioneering research on viruses, cell differentiation, and cancer. The lectureship recognizes an outstanding scientist who has made meritorious contributions to the field of cancer research and who has, through leadership or by example, furthered the advancement of women in science. Anne-Lise Børresen-Dale, PhD is honored for her seminal work which expanded our understanding of breast cancer evolution. Dr. Borresen-Dales pioneering studies were among the first to identify distinct sub-groups of breast cancer, based on the molecular profile of the tumor. Her systems approach to breast cancer has revealed important insights into the impact of genotype and gene expression on elevated cancer risk, radiation sensitivity, tumor aggressiveness, and therapy resistance. She is highly regarded by her peers not only as a collaborative and generous colleague and mentor, but also as a tireless advocate for better outcomes for women with breast cancer through research. 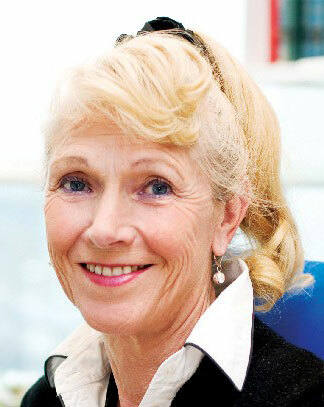 Anne-Lise Børresen-Dale is Professor Emerita at University of Oslo and previous head of the Department of Cancer Genetics, Oslo University Hospital Radiumhospitalet. She is among the leading geneticists in research on molecular biology of breast cancer, and her group was among the pioneers in expression profiling of breast carcinomas in collaboration with groups at Stanford, demonstrating that breast cancer can be divided into distinct sub-groups with differences in molecular profiles and in overall and relapse-free survival. Her achievements are seminal for understanding breast cancer evolution, and have had an enormous impact on our view of the complexity of breast cancer. She is author of more than 480 published scientific papers, books chapters and invited reviews. Dr. Børresen-Dale has received several prizes and awards, some of the most prestigious being the King Olav Vs Cancer Research Award in 1994, the Swiss Bridge Award for Outstanding Cancer Research in 2004, the Möbius prize for outstanding Research from the Research Council of Norway in 2008, The Mildred Scheel Lectureship in 2015, the Fritjof Nansen medal and award for Outstanding Research from the Academy of Science and Letters, Norway in 2015, and the AACR Distinguished Lectureship in Breast Cancer Research. Børresen-Dale has been Member of the Board of Directors of both AACR and ECCO, is past president of EACR, and is Elected Member of The Royal Academy of Science, Norway, The Norwegian Academy of Science and Letters and the European Academy of Cancer Sciences.